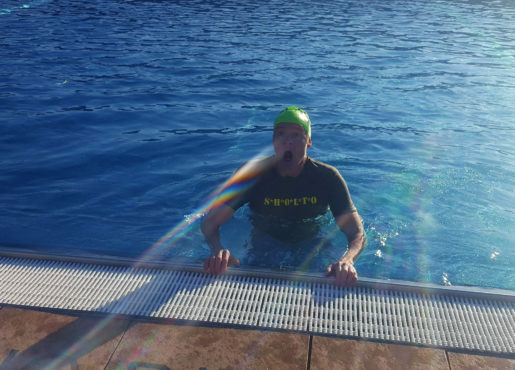 Despite temperatures close to 0°C, Borne Ambassador Alistair Petrie jumped into an outdoors, unheated pool last weekend after fans raised over $1,000 in aid of Borne’s research into premature birth. He was “helped” in his mission by fellow actors Rupert Graves and Tom Stoughton, with whom Alistair starred in the cult show Sherlock. 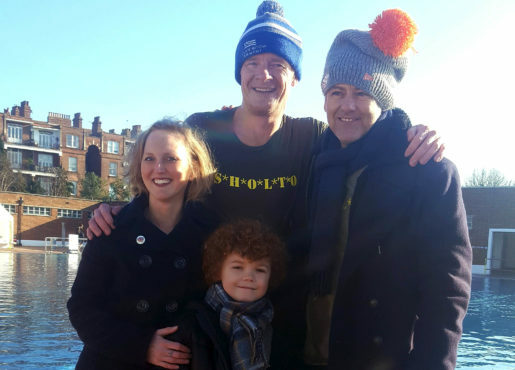 The challenge mirrored a similar fundraiser at a Sherlock convention last May during which Rupert Graves was pushed into a (heated) pool, as per Alistair’s request, to raise money for Borne’s research. The 2019 reunion was orchestrated by Lora den Otter, a Borne supporter from the United States and a fan of Alistair Petrie, who has previously cycled 600 miles in aid of Borne.